Home / Mobile & Applications / Instatube apk | Download & Install Latest Version for Android! 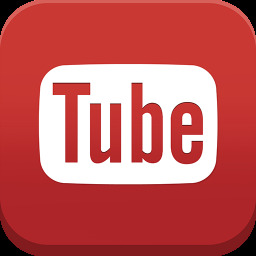 Instatube apk | Download & Install Latest Version for Android! NOW DOWNLOAD ALL INSTAGRAM CONTENTS IN ONE GO WITH ANDROID’S INSTA TUBE DOWNLOADER!! InstaTube is an excellent downloading tool for Instagram that allows users to download all kinds of Instagram content like videos and images which otherwise Instagram does not allow. Since it has become a major part of everyone’s life nowadays, the users often feel like downloading its millions of entertaining contents. While for the images they can somehow manage by taking the screenshots but for videos, Instagram provides no downloading options. InstaTube via vidmate download through its advanced online downloading tools saves the contents easily to the application’s interface and user’s device. Also, the best part is, to use the application users don’t even need to have the original Instagram Application. They can directly access their Instagram account from InstaTube and download pictures and videos within seconds. The application developed especially for the Android’s platform; however, the Windows and MAC users can also install it in their systems. The application features a stylish UI having a material design with Instagram integrated into its platform and a separate section for downloading photos and videos. It also features a beautiful gallery comprised of the downloaded photos and videos and even supports media player for playing the downloaded files. The application lets users access Instagram directly from its platform without opening the original Instagram application. You can browse through the Instagram content in the same way as you do from the official application’s interface, like and comment on them, do the direct messaging and the best part is downloading anything you like which Instagram does not support. The application provides users the opportunity to download anything from Instagram whether its video or an Image instantly. They need to click on the three horizontal dot option (…) located at the top right corner of the image and select on Copy URL. After that, a small download icon will popup below clicking on which, the download gets completed instantly and is saved in the application’s interface in the photo section. The process is the same for video download as well and the content gets saved to the video section. The downloaded files can be shared by the user among their friends and also can be reposted on Instagram and keep it as a story as well. The application allows users to save the downloaded files from the application’s interface to existing folders and files in their device as they like. InstaTube application needs to be downloaded from the third party source by turning on the ‘Unknown Sources’ option from your device settings. The APK file needs to be downloaded from here vidmate apk download featuring the latest version. Users need to follow the installation procedure to launch the application successfully in their device. PC and MAC users can download InstaTube application in their system with the android emulator like Bluestacks, Nox Player, KO Player etc. They need to install the emulator first in their system and then install the APK file from the emulator's interface to run it on their system. The application is highly recommendable for all Instagram addicts to enjoy unlimited free downloading of interesting contents.